For military servicemen and women moving to the Temecula area, there is always one concern on the top of their minds: Where can they call home? Having that hometown feel and a place to unwind and relax is a must — especially for those relocating to the area. For those stationed at Camp Pendleton, sometimes the right place to call “home” isn’t on the base. Sometimes “home” is located in the city, where family members can find better schools and other workplaces nearby for your spouse. That’s why having a qualified real estate agent, who understands your needs, is vital to establishing a wonderful place to live. Military servicemen and women have turned to the concierge service of Allison James Estates & Homes to help them find their home for the last several years. As the local area experts in the Temecula Valley, we have first-hand knowledge of the area. When you sit down with us, we analyze what your goals are and what you’re looking for. From there, we match your needs with the right home in our database. How can you assist me in the relocation? Do you have lenders that not only specialize in VA loans, but are experienced and trustworthy? What special services do you offer to military families? 1. How Can You Assist Me in the Relocation? We offer a list of preferred vendors that you can use, ranging from moving companies, cleaning services, and lawn services. We also have strong relationships with local rental management companies that you can lean on if the timing is not right and you need to rent out your new home before you move into it. 2. Do You have Lenders that specialize in VA Loans? We have 3 lenders that we highly recommend with proven VA loan experience and track records. They offer great programs that can save you thousands of dollars compared to other lenders in the Temecula area. Each of our trusted lenders are conveniently available to process the loan application online or by phone. 3. What Special Services Do You Offer to Military Families? Our team is unique in that we have a Military Relocation Specialist Team, who will take a video of the area for you. If you want to know about the parks or schools, our team will go out and take a video for you, so you can get a real experience of the area. We will send you homes to preview online that are the best fit for your needs, and if you like any in particular, we’ll take a personalized video for you. You can get a life-like tour of the home before you make an offer. 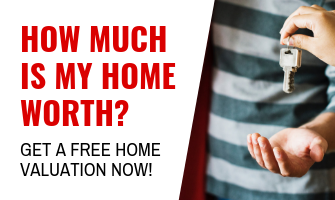 Because we understand military families relocate so often, we feature a 12 Month Love It or Leave It guarantee on the home you buy. 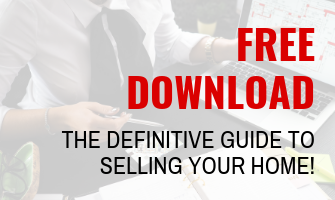 If don’t love the home you bought through us after 12 months, we will sell it for free.